The SA Expand provides Fishman-quality sound without the clutter of additional wall warts or connectivity issues found with typical line mixers. 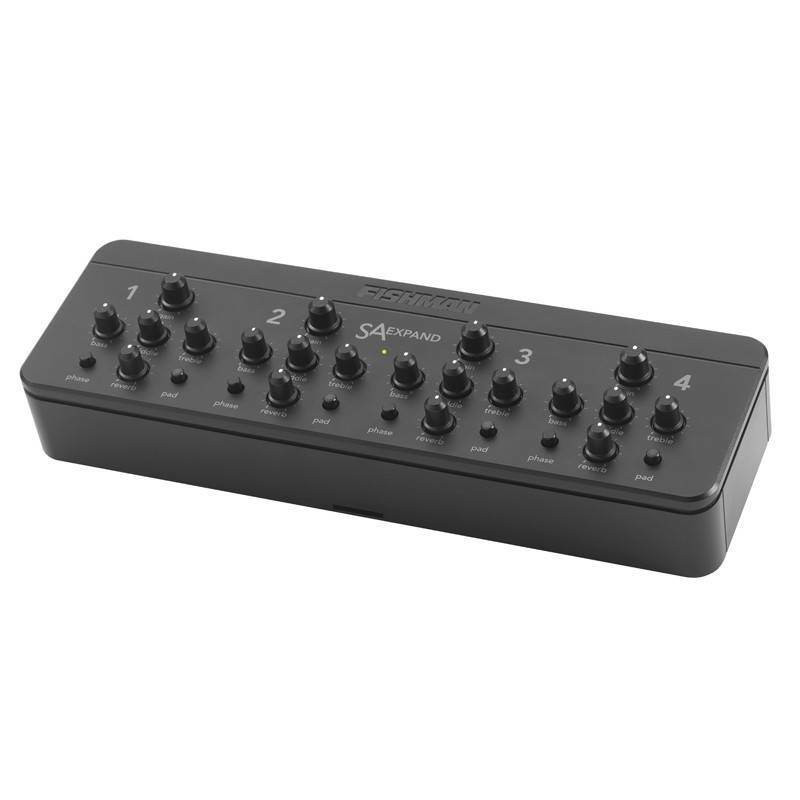 The SA Expand 4-channel expander/mixer allows musicians, presenters and AV professionals to easily and affordably add up to four additional microphones, instruments or program sources to their SA Performance Audio System. Phantom powered, when connected to the SA330x, the SA Expand requires no additional power supplies or adaptors to set up… or lose!